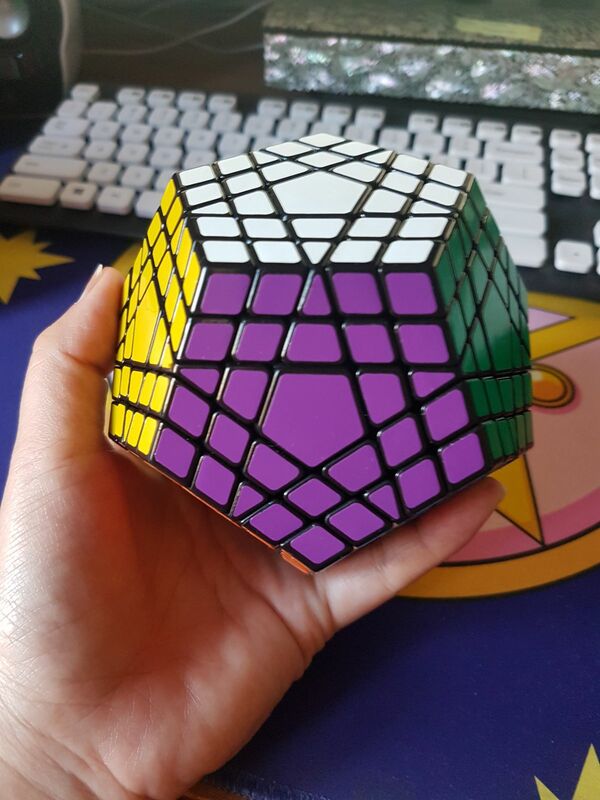 The ShengShou Gigaminx (5x5 megaminx) is a 12-sided minx style puzzle which will challenge the more advanced cubers who enjoy larger puzzles . The puzzle is stickered with the standard ShengShou shades and comes pre-lubricated by the factory. Importantly it also comes with a set of factory replacement stickers. Really smooth turning, pre-lubricated, cube! Nice puzzle and good service. This puzzle feels really nice. It turns smoothly and I have had no issues with lock-ups it pops. The service was great and the puzzle arrived in about 2 days. That’s one more satisfied customer on the list. The puzzle turns really well out of the box. 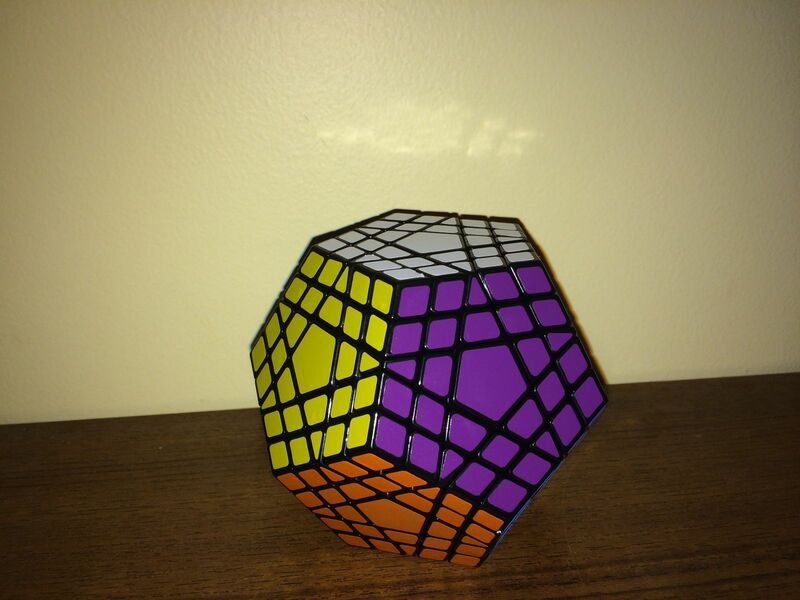 Definitely a must get if you like to solve megaminx, the gigaminx is just as fun. I love it! Tyler W. Reviewed by Tyler W.
Turns very well, greasy out of the box like all Shengshou puzzles. It was also missing a sticker, but that was easily fixable with the replacement set.